The Cheshire Soccer Club would like to thank you for your past and current participation in our soccer program. At age U11 and older, children play for a Cheshire “Travel” team. All teams have a paid and licensed coach with extensive experience playing soccer and training young soccer players. Most important is that we have teams for players of all levels of technical skill and athleticism. We strive to give all children an opportunity to play soccer while providing a positive environment that allows them to develop fully as soccer players and teammates. Many players move between teams year to year as they develop or their interest in soccer changes. 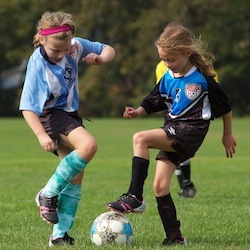 Cheshire Soccer Club provides 3 levels of play starting at age U11.